I have been so busy lately getting ready for my next market stall. I am trying to be organized this time around and have enough interesting stock on my stall. 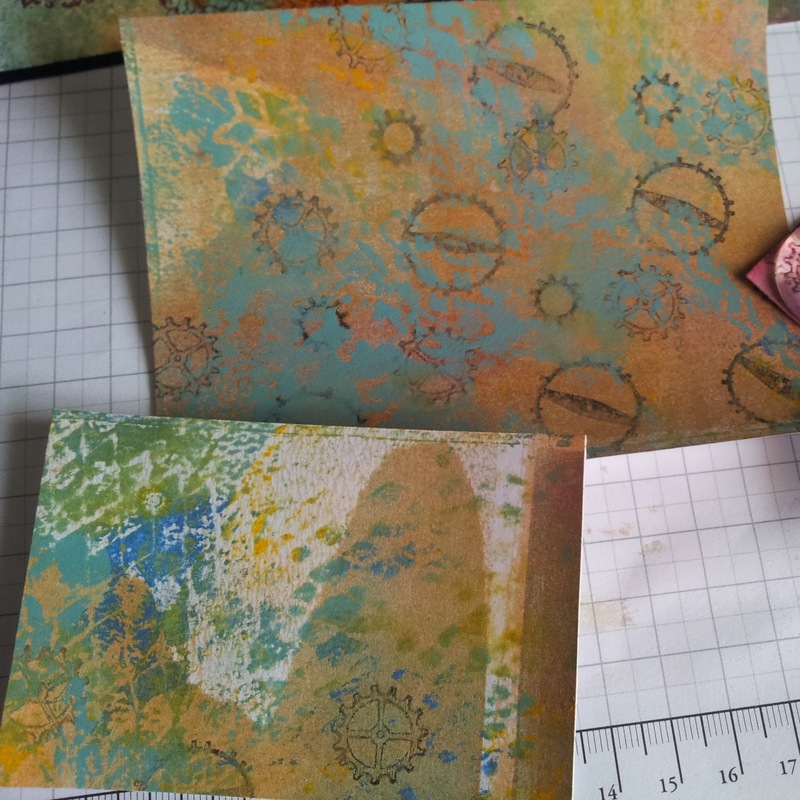 A few weeks ago, I told you about my new way to make cards faster and more interesting using a Gelli Plate, Gelli Plate Printing. 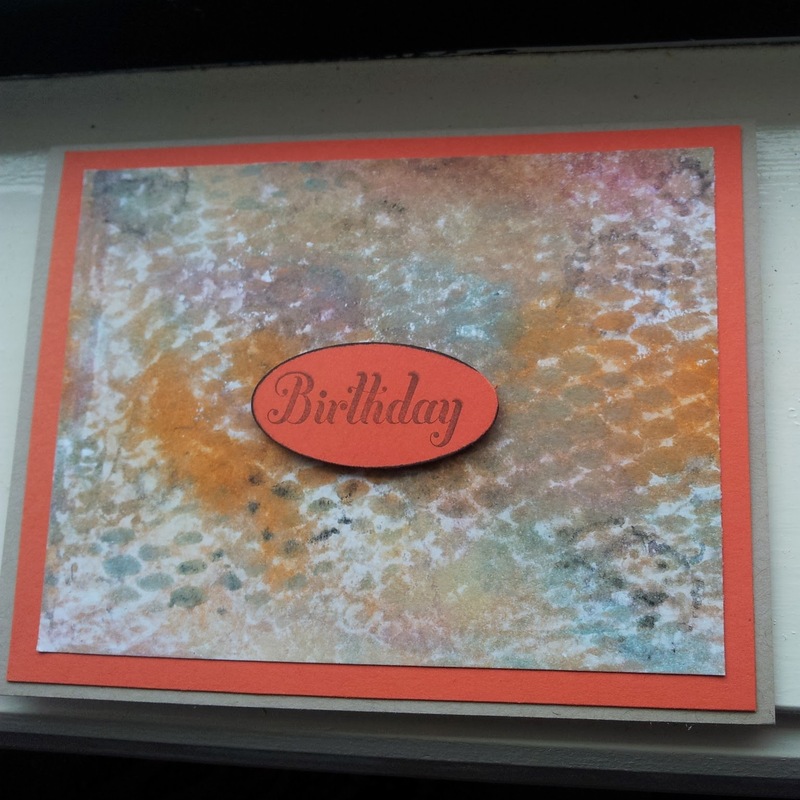 Well, I am finally got to make cards from the pages I printed using the Gelli Plate. 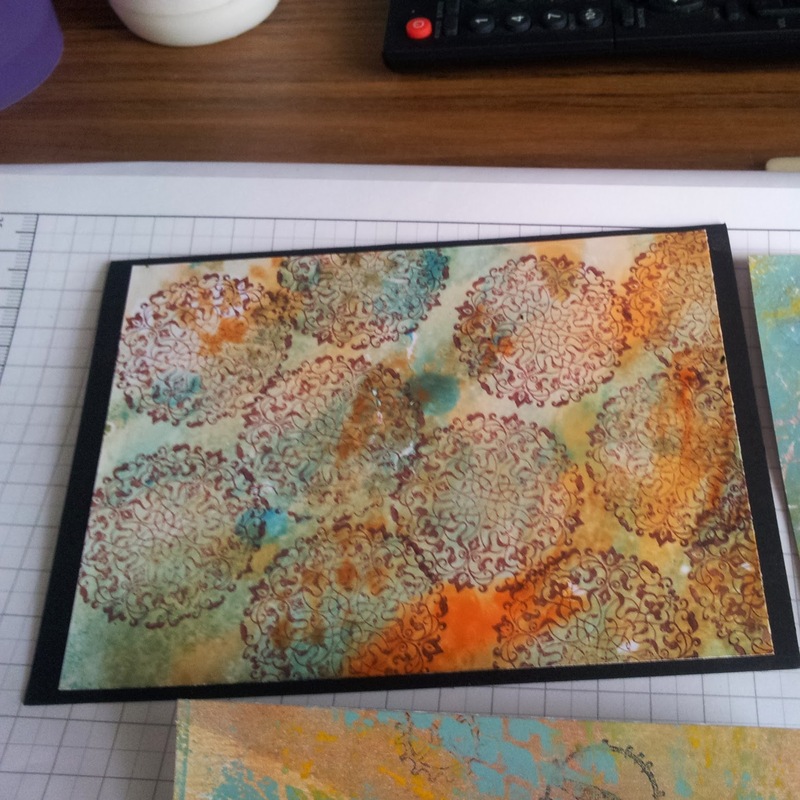 Here are a few of the pages and the Cards I made.